For a project to be successful, it needs a blueprint or skeletal framework for guidance. 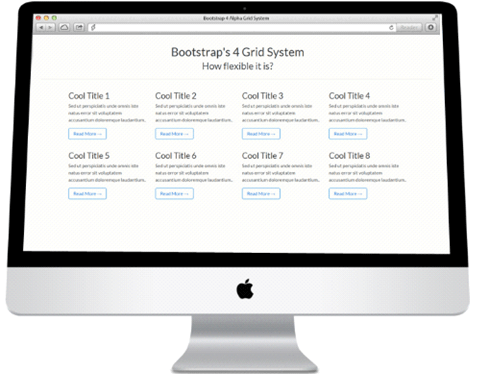 In Bootstrap 4, we have what we call the Grid System. It’s basically a creation of rows and columns to form the 12-column standard grid system. 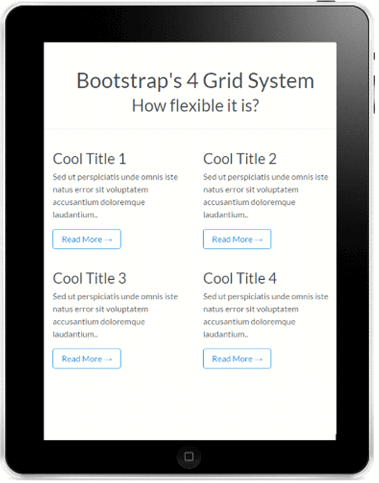 The Bootstrap 4 Grid System is quite handy when formatting web content to be responsive on smartphones, desktops or larger display screens. You can create an infinite number of rows and columns or format them with regard to your website requirements. Instead of pixels, this time we are working with rem & em, and a new addition is the –sm prefix for mobile phones. There are three resources you need to work in Bootstrap 4. 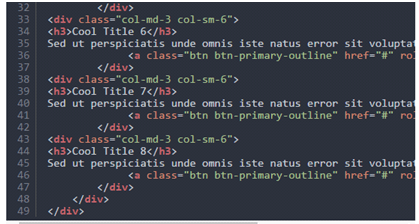 You need simple knowledge on how CSS and HTML work and min.css availability (but in this case CDN link will work). Then you need the patience to work carefully and through every process for more impactful results. 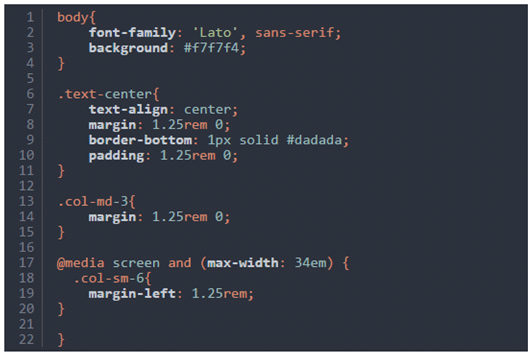 Creating the base grid is no hassle, first develop an index.html file set up then paste the contents below. Next, create div that will be the container class. All the rows and columns should be placed within this container for them to be properly placed on your browser or screen. Containers can be fixed (with no additional spaces on either side) or they can be container-fluid (which means have liquid-like grids). In this tutorial, we work with a fixed container. Below is how to create an HTML container. 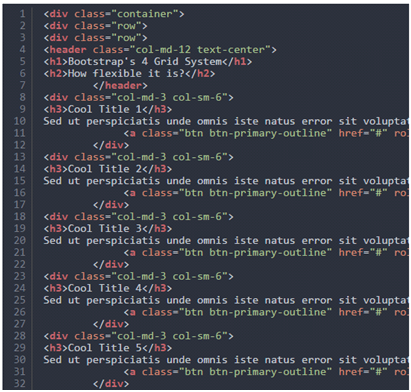 A quick Bootstrap tip, always works with one container and have all the row elements within it. This helps center elements properly onto your screen. 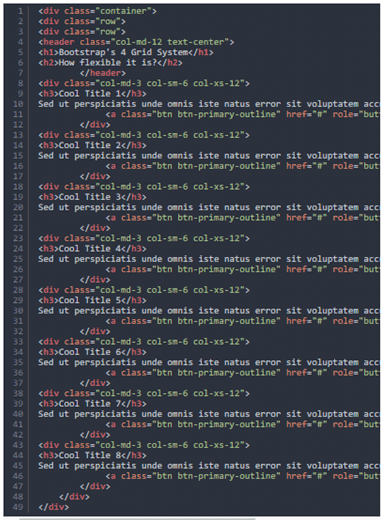 Now, say we want a single column to span the entire 12 columns in Bootstrap 4. You can create this using the class col-xs-12, 12 denoting the number of columns to span across. 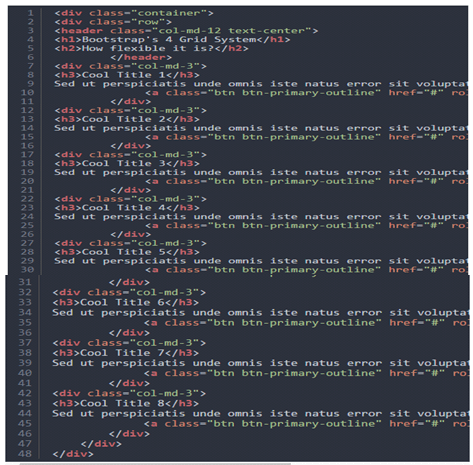 By specifying the class col-sm-4, this means all elements within the container class will span 3 grids to add up to 12 columns on smaller screens. The class col-lg-12 is set to affect larger displays of 62em and above. Simultaneously, the col-sm-4 remains intact to affect smaller screens of at least 34em. This is a responsive web design we tried to explain in a single sentence. The output should show the elements occupying 3 distinct columns for a smaller screen, while they occupy the entire 12-column setup for large screens. 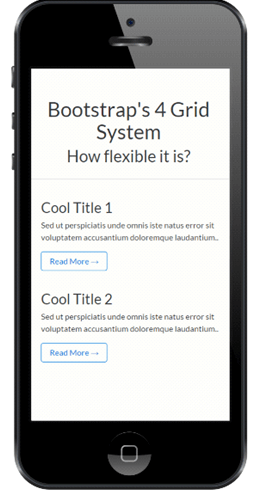 How can you create a flexible layout that will be responsive on desktop, tablets or smartphones? 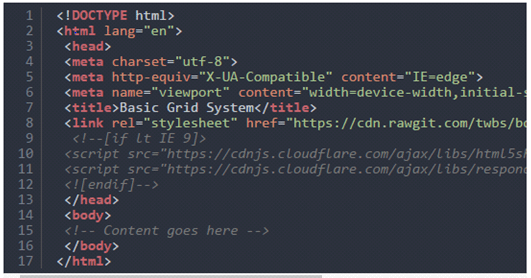 Begin by creating a fresh HTML File labeled grids_view.html. then place your basic markup as shown below (it’s almost similar to our first example). 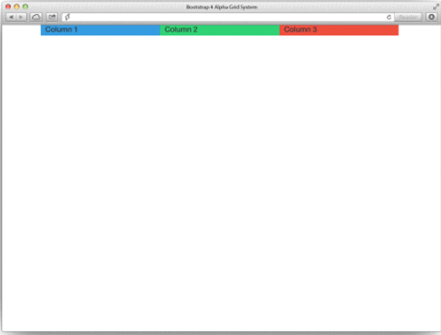 Now let’s format our grid to suit desktop displays. We are going to use the prefix class ‘col-md-‘for our columns. It’s okay to work with ‘col-lg-‘or ‘col-xl’; there won’t be much of a difference if the desktop screen is 1200px and above. 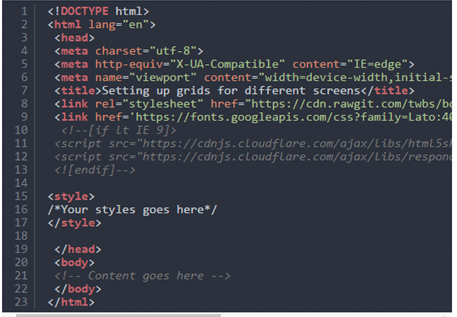 We just need to throw in some extra code to make our elements responsive on tablet screens. Tablets can display content in portrait or landscape view. The landscape will have a col-md- class while Portrait will have a col-sm- class. That’s it! You now have an understanding of how Bootstrap 4 grid systems work. Additionally, you can easily format your grids to suit any display of choice using the simple guideline provided above.